Situated in Montalcino, this property is within 9 mi (15 km) of Fortress of Montalcino, Poggio Antico, and Civic and Diocesan Museum of Sacred Art of Montalcino. Museum of Brunello is 10 mi (16.1 km) away. 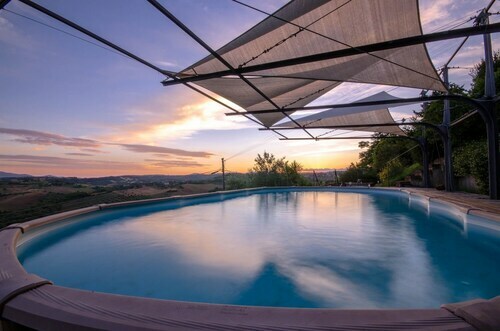 Situated in a rural location, this farm stay is within 9 mi (15 km) of Fortress of Montalcino, Poggio Antico, and Civic and Diocesan Museum of Sacred Art of Montalcino. Museum of Brunello is 9.5 mi (15.2 km) away. 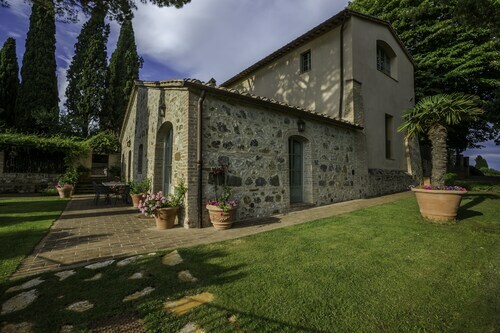 Situated in a rural location, this property is within 9 mi (15 km) of Fortress of Montalcino, Poggio Antico, and Civic and Diocesan Museum of Sacred Art of Montalcino. Museum of Brunello and House Museum of Monticello Amiata are also within 12 mi (20 km). Situated in a rural location, this property is 9.4 mi (15.1 km) from Val di Merse and 11 mi (17.6 km) from Abbey of San Lorenzo al Lanzo. Terme Petriolo and Church of San Nicola are also within 20 mi (32 km). Monte Antico Station is 10 minutes by foot. Situated in Montalcino, this property is within 9 mi (15 km) of Fortress of Montalcino, Poggio Antico, and Civic and Diocesan Museum of Sacred Art of Montalcino. Museum of Brunello and Torrenieri Montalcino Station are also within 12 mi (20 km). Situated in Civitella Paganico, this apartment building is in the same area as Abbey of San Lorenzo al Lanzo and Poggio Antico. Regional attractions also include Terme Petriolo and Abbazia di Sant'Antimo. Situated in a rural location, this historic apartment building is in the same area as Abbey of San Lorenzo al Lanzo and Poggio Antico. Regional attractions also include Terme Petriolo and Abbazia di Sant'Antimo. Situated in Civitella Paganico, this apartment building is 9.2 mi (14.8 km) from Val di Merse and 10.6 mi (17 km) from Abbey of San Lorenzo al Lanzo. Terme Petriolo and Castello di Montepescini are also within 25 mi (40 km). Monte Antico Station is only a 3-minute walk. 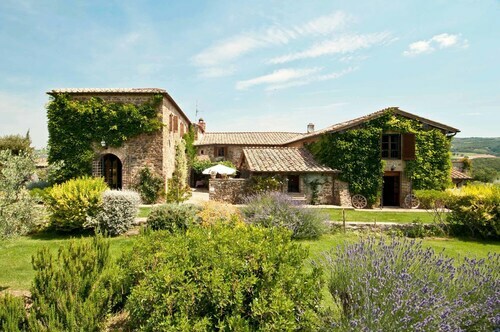 Castello Banfi is a marvelous place to get away from the stresses and hassles of the workweek. You will find it in Montalcino, so if you're flying into Rome, the national capital, you'll have a trip of 95 miles (153 kilometers) ahead of you. 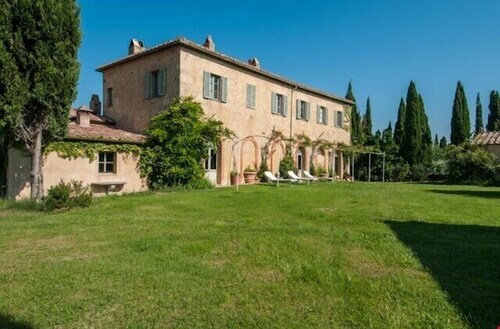 Just 0.1 miles (0.2 kilometers) away from Castello Banfi, the Castello Banfi - Il Borgo is a convenient place to stay. If you'd rather put aside a bit of your hard-earned cash for some of the more important things in life, you can spend a night or two at one of the economical solutions within easy driving distance. The Fattoria Nuova Pievanella and the Agriturismo Le Ragnaie are two of the more popular establishments. After visiting everything on your to-do list, get a taste of the local foodie culture at Taverna Banfi (Castello Di Poggio Alle Mura, Montalcino), just 0.1 miles (0.2 kilometers) away. What could possibly be better than an exciting cultural trip intertwined with wine? Go to Poggio Antico and you will quickly find out. Head over to Abbazia di Sant'Antimo and enjoy the serenity of this sacred place. Whether you are a real enthusiast or simply enjoy sipping wine now and then, Tenuta Greppo Franco Biondi Santi is a great place to buy and taste the local flavors. If you're eager to learn something new, Museum of Brunello is worth checking out. Enjoy a walk through this area's history when you take a tour of Fortress of Montalcino. 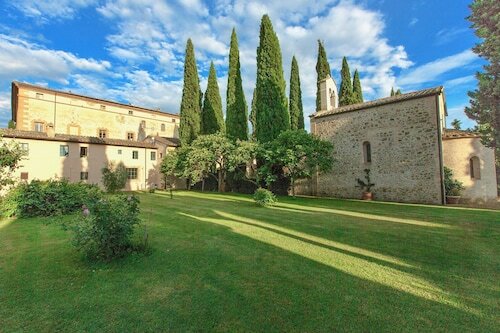 How Much is a Hotel Room in Castello Banfi? 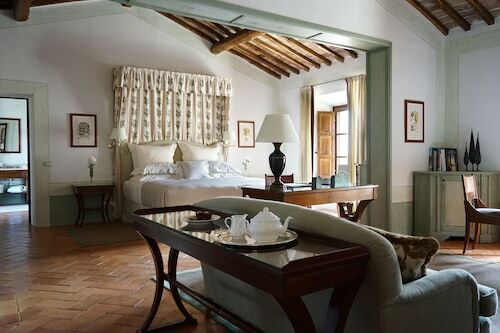 Hotels in Castello Banfi start at $547 per night. Prices and availability subject to change. Additional terms may apply.